Anthony Gots is an old friend of mine from my Whistler days. I've had him on Facebook for ever and recently noticed he was on an epic motorcycle trip from Whistler to South America. The best part was the little 1980's Honda he was on. Since October, I've followed his trip via social media and now that he's home, I got him to send me a story to share on the Road Apples blog. Here's what he sent! October 1st 2017. The day I left Whistler and set out on the most epic ride of my life! 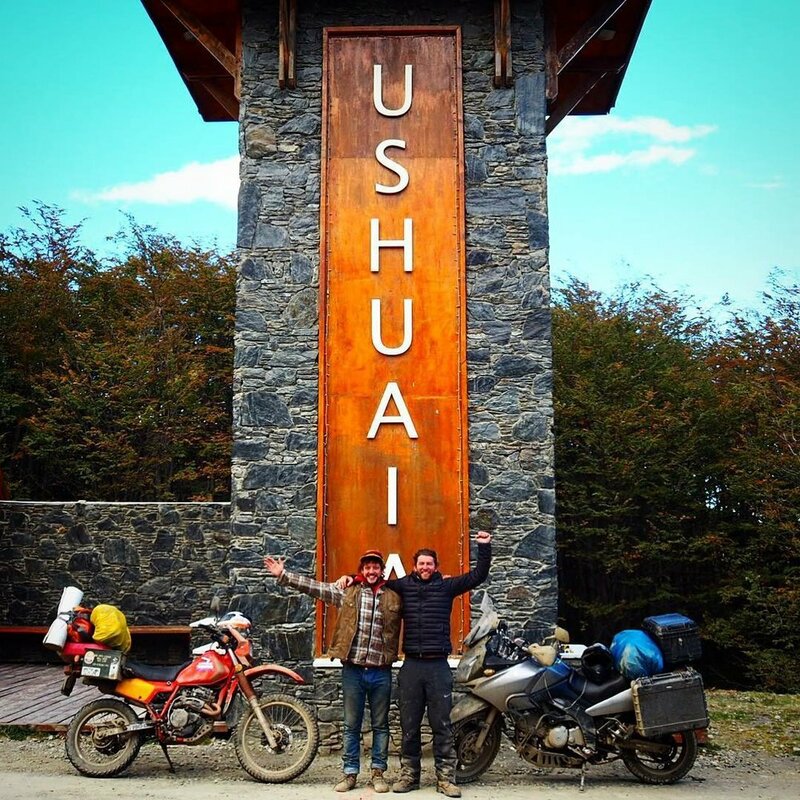 Trying to beat the cold, I packed up my bike and set off south to go through the America’s, with Ushuaia, Argentina as the end goal in mind. The southernmost city in South America, and the world... the end of the road! On the trip I took my trusty steed, an all original 1985 Honda XL 350, Rhonda the Honda. A single cylinder air cooled beast that would go until the end of time. While my friend Simon, was on a 2007 Suzuki V-strom 650. The main reason I decided to take the Honda was that it’s simple. It’s easy to work on, There was no shortage of Honda garages or parts the entire way down, I felt comfortable riding it and well, it was the only bike I had haha. But the best bike to take is the one you already have! This journey took us through all types of terrain; massive desserts through Mexico, Northern Peru and the Famous Atacama desert in Chile - The driest dessert in the world! Where in some regions it has not rained for almost 500 years, and is actually the closest resemblance to mars on earth. We even saw a team from NASA! The beautiful and very HOT jungles and beaches of Central America; Guatemala, El Salvador, Honduras, Nicaragua, Costa Rica and Panama. With the infamous and nearly impassable Darien Gap between Panama and Colombia, which definitely put a few interesting hiccups in our trip. This was the only section we could not ride through, so we needed to ship our bikes from Panama to Colombia. Message Borris from Ever Logistics if you’re ever going this way, he pretty much has the shipping market on lock. And of course, the beautiful region of Patagonia! Where you are constantly meandering between Chile and Argentina. A land filled with huge mountains, lakes, rivers, glaciers, weather with a Mind of its own and of course, more wind then anybody would ever want to experience in their entire life. The only place where riding on a straight highway sitting at a solid 45 plus degree angle getting blown all over the road, is the everyday normality here. Despite the beauty, Weather conditions proved to make this region the hardest riding of the entire trip for me. It was all absolutely incredible. I saw the most amazing places and met the most incredible people the entire way down, but touching down in the city of Ushuaia, Argentina will be a feeling that I will never forget! After riding south for 6 months, through so many amazing countries... to finally reach the southernmost point! The turnaround point, Was a sense of accomplishment like no other! After a few days of extreme celebratory binge drinking with other over landers celebrating their travels through Latin America to Ushuaia, And an epic ride out the official end of the world with about 15 other legends, we said our goodbyes and pointed north for the first time in months, and took our last ride to a town called Punta Arenas in Chile. This is the town where I passed on my bike, luckily, to an absolute star who will continue the legacy on his way back up to Colombia! Wishing him the best of luck! 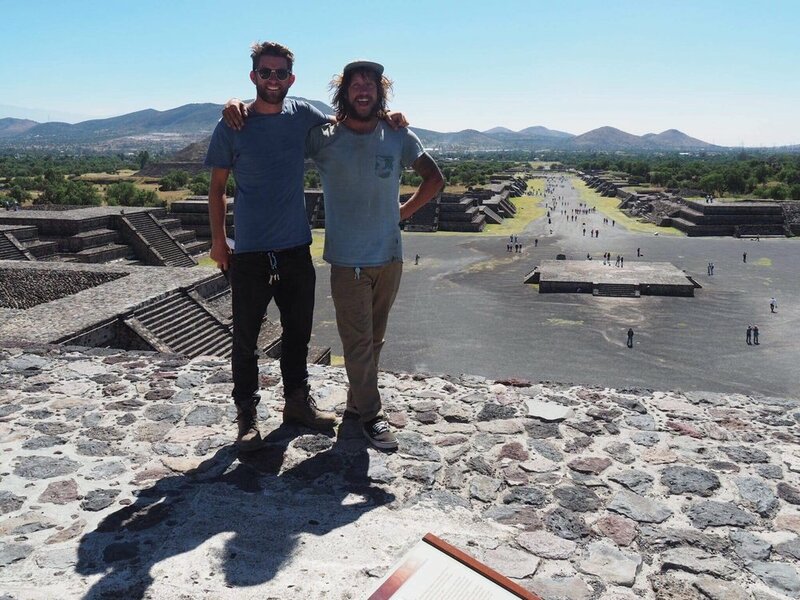 Overall, it took me and my friend Simon 6 months to trudge our way through the US, Mexico, Central America and the Pacific coast of South America. 14 countries, over 25,000 km and the craziest trip of my entire life. I’d be lying if I said I didn’t have my doubts, as did others. It was all nerve racking, being thrown into different cultures and a different way of life. A 33 year old bike that was a little small, out of the norm and pretty minimalistic for the trip. The fear of breaking down in a foreign country in the middle of nowhere. Then there is all the horror stories the media portrays and people try to tell you about these countries. Obviously, you have to be safe, and smart. But during our journey through the America’s, we were lucky enough to experience nothing but very giving, curious and super genuine people who wanted to lend a helping hand any way they could, and who really just wanted to know our story and what the hell we were doing. Overall, it was the interactions I had with others on this trip and the people I met that really made it what it was. I could ramble on and on about each country we’ve went through for days on end, so writing a brief summary of the trip has proven quite difficult! But if there’s anybody out there who has had the idea of heading down through Latin America, I wouldn’t hesitate to recommend a similar trip to anyone! Great riding, great people, and an amazing experience. There are so many helpful resources and tools to help you along the way on your journey down. Good luck to anyone tackling the adventure! Have fun and Thanks for reading!